Something 'Wicked' this Way Comes on #wickedwednesday with memories with my favorite @wicked_musical peeps: @edenespinosa , @meganhilty , and @adamlambert. The perfect trio. I love and miss them big time! Someone tagged Danielle on FB. I recognise that cowlick. 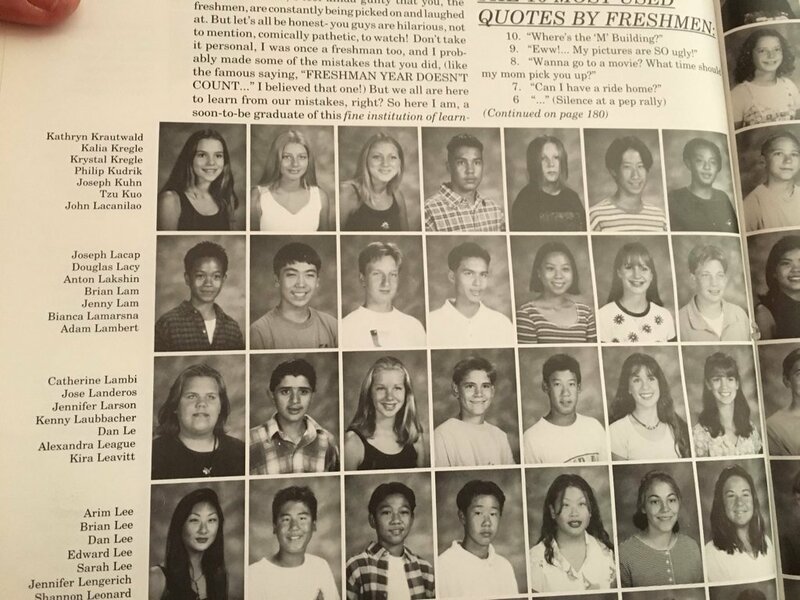 That's Adam back left isn't it? Silly #throwbackthursday to around 2007 of @alinareanna & I as THE original #Glamberts at the @hollywoodpantagestheatre Stage Door meeting the incomparable @adamlambert again in @wicked_musical for the billionth time! We've been HUGE fans of his ever since and can't WAIT to see him again next month! He was epic with Queen btw! 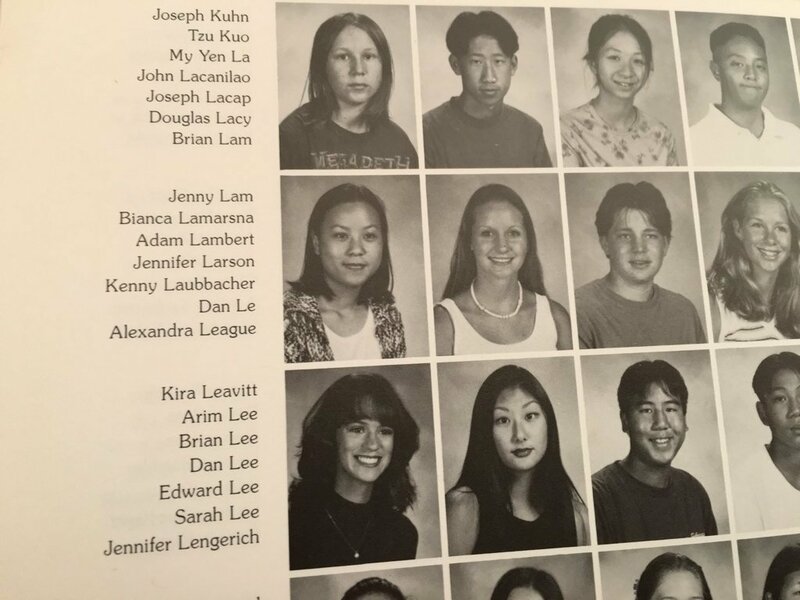 So just found out my niece's husband went to high school with @adamlambert !! 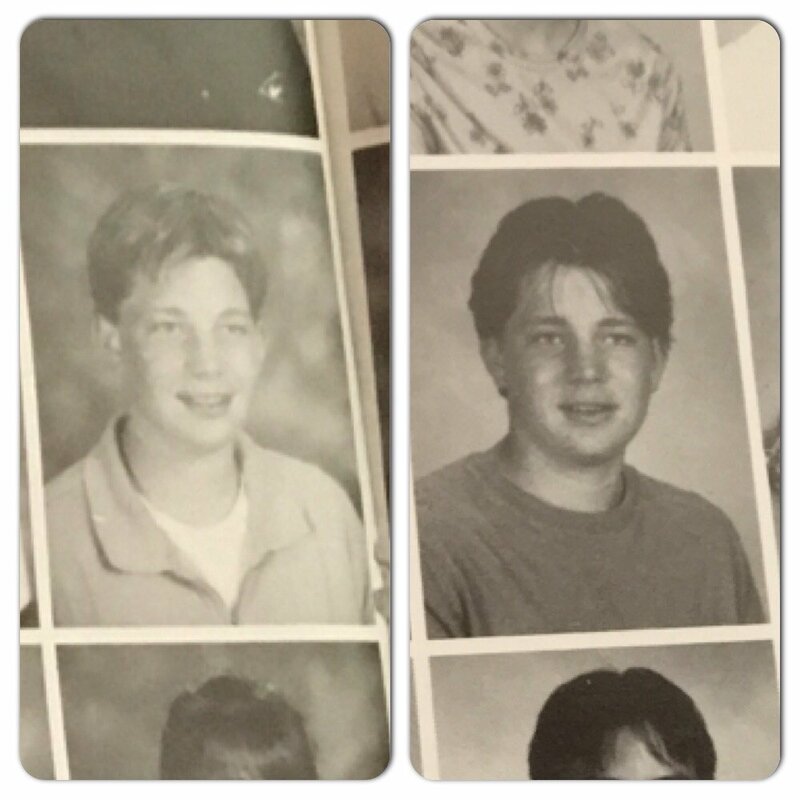 Here are 10th & 11th grade pics! 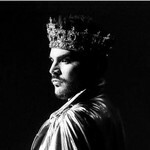 Another person making the leap as a non-Equity actor into Los Angeles theatre from the happy stages of San Diego County was Adam Lambert. He was playing a Porter (the tenor) at Reprise. This was well before American Idol and his current successes. I had shared the stage with Adam a few times at the Moonlight Amphitheatre in Vista, CA, the last of which was their 2000 production of Grease which featured Adam as Doody and yours truly as Roger. (You should hear our "Rock & Roll Party Queen.") In 2003, Adam had moved to North Hollywood with some other mutual friends, and they graciously let me crash on their couch during the run so I could cut my commute down a bit. I remember sitting at the living room table, drawing my closing night gift illustration and listening to Adam while he sang in the bathroom. The range and riffs were like nothing I had heard come from him, and I wondered if he would ever do something with that part of his abilities. Well, it looks like he did just that. Adam and I n "Babette." 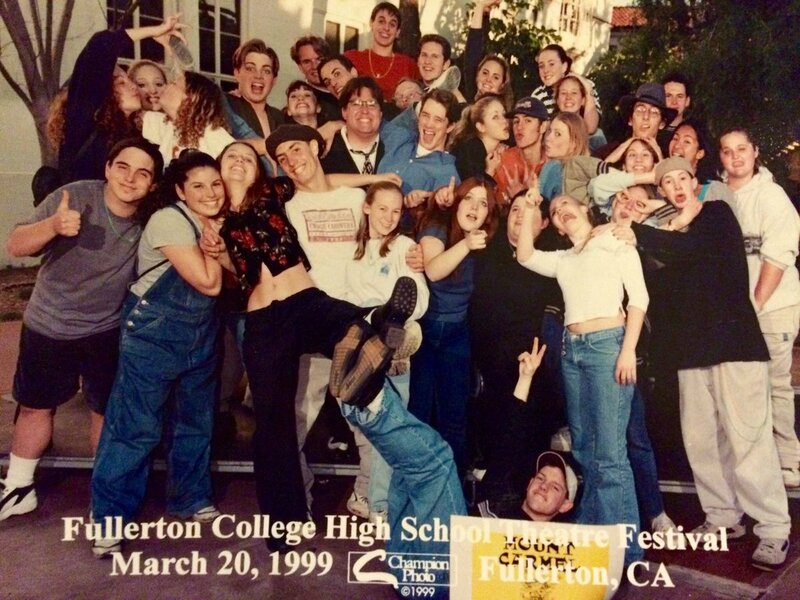 The cast and creatives of Reprise's 2003 production of On the 20th Century. 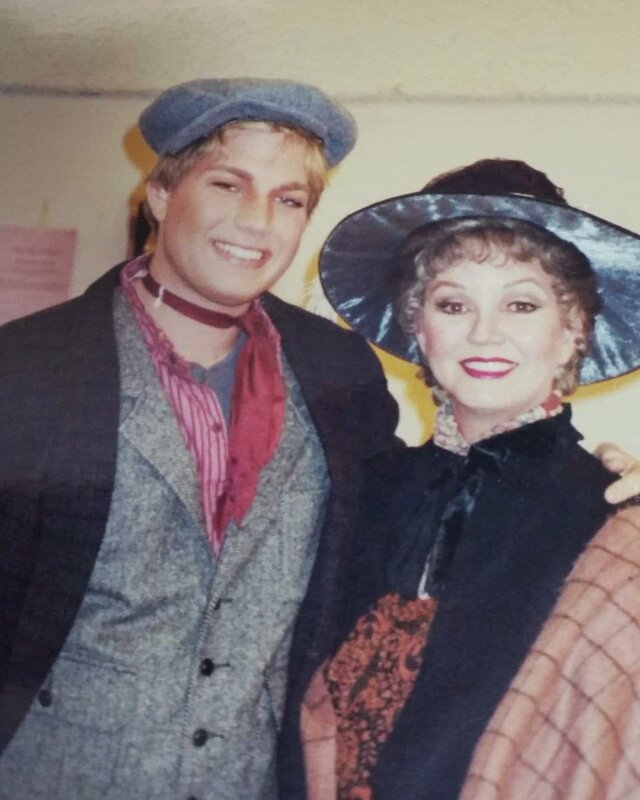 In 2001 my friend dawn was in a production of #MyFairLady with #AdamLambert at Fullerton Civic Light Opera. Pretty cool!